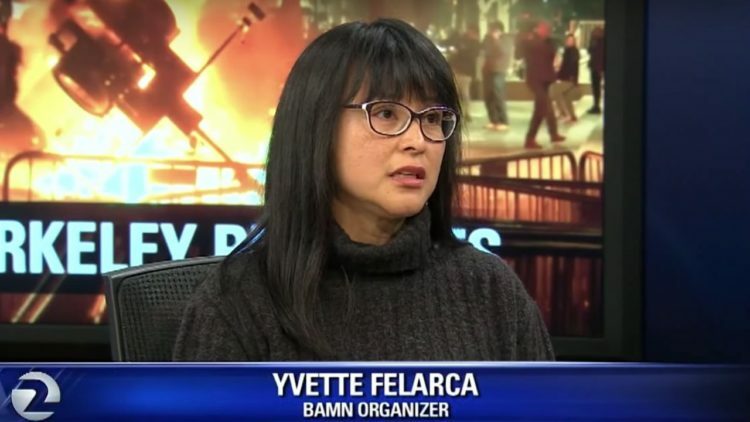 Yvette Felarca is an English and history teacher at the Martin Luther King Jr. Middle School in California. She is also a prominent Antifa activist which you would think a liberal state like California wouldn’t have a problem with. However, she was just ordered by the court to pay $11,100 in damages to the former President of the UC Berkeley College Republicans after a restraining order was dismissed by the courts. I’m not surprised, Antifa is a violent domestic terrorist group and Felarca is one of its ring leaders. Apparently Felarca filed a restraining order against Troy Worden and when it was dismissed, he and his lawyer, Mark Meuser, sued the teacher for attorney fees and damages. The sad part is that this isn’t the first time that this has happened. BAMN formed in 1995 to fight California’s rollback of affirmative action. The group, which is led by civil rights lawyer Shanta Driver (she is Felarca’s attorney), has organized anti-Trump rallies and high school walkouts. But it also supports more aggressive tactics. “When we say ‘by any means necessary,’ we mean everything from doing legal cases to organizing more militant actions,” Driver says. “We are not people who believe, in situations where we’re under attack, that we should turn the other cheek.” They are all across the nation and a lot of teachers belong to the movement. 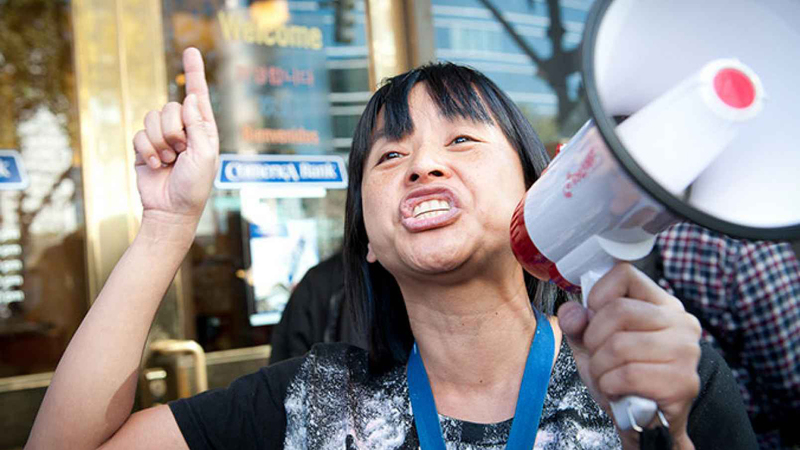 “This marks the second time in two months that Felarca and her lawyers have been ordered by an area court to pay the attorney fees of their opponents for filing legally and factually unsupported claims in court,” Dhillon continued. “True victims of harassment/stalking/assault need the courts to be available to them as a priority, not clogged with fabricated claims pursued in bad faith.” Driver will appeal the ruling. “This verdict was based on the judge’s decision to support the political views of Troy Worden and the alt-right and that is not acceptable,” Driver said, according to The Berkeleyside. I love a story with a happy ending. You do have to wonder, though, how a middle school teacher is going to come up with $11,100 given the fact that teachers are already living off of pretty meager salaries as it is. None of my concern though, I’m all in for punishing people who attempt to abuse the justice system to silence their political opponents who are guilty of no crime. And as I understand it, BAMN has some pretty heavy duty backers. I doubt she will have a challenge with this ruling. In fact, she’ll do it again as a form of lawfare, which is used by these goons frequently. I don’t think the punishment went nearly far enough here. This woman will kill someone before this is all said and done.